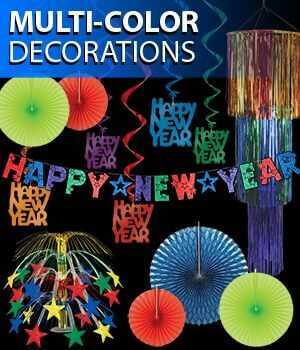 Party Express specializes in the manufacturing and distribution of Bulk New Year's Eve party supplies and decorations at wholesale discounts. 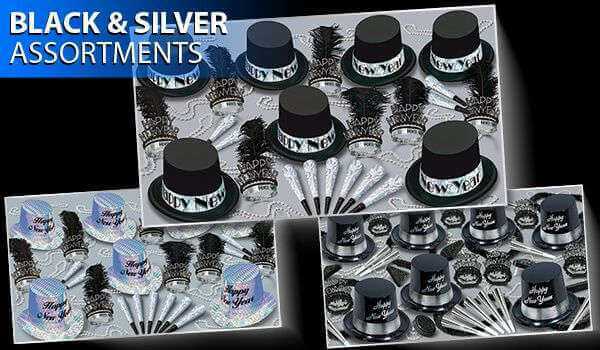 We manufacture over 100 different New Year's Eve Party kits and we are sure that you will find the color and style that you desire for all of your New Year's Eve party supplies and favors. 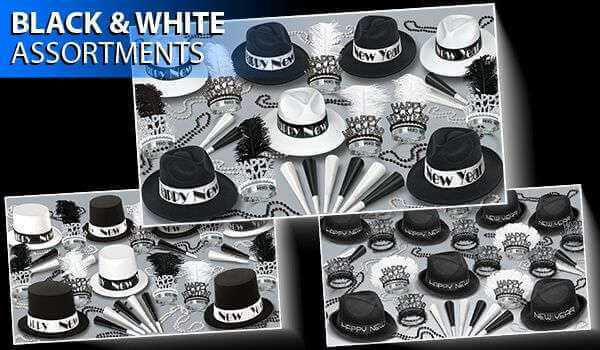 Whether you are throwing a high end black and white New Year's Eve Gala, or a kid friendly bright and colorful New Year's Eve party, Party Express offers a wide variety of Bulk New Year's Eve Hats, Tiaras, Horns and Beads that are sure to match your party theme of choice. 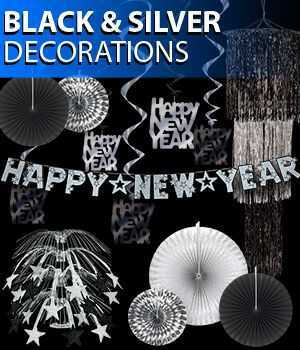 Our bulk New Year's Eve Party Supplies and Decorations can be purchased as a Party Kit, or individually all at wholesale factory direct pricing. When you purchase party favors in bulk you always save. 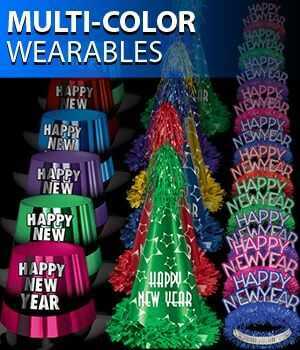 The wholesale New Year's Eve party favors and decorations that you will find on our site are sold in bulk packs, but still at manageable quantities. There is no minimum order at PartyExpress.com, so you can order one pack or one hundred packs. The choice is truly yours. We pride ourselves on top notch customer service, quality, and selection to meet all of your partying needs. Take a look around! 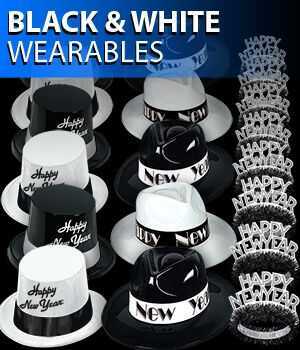 PartyExpress.com is full of great party theme ideas for your upcoming New Year's Eve Party. 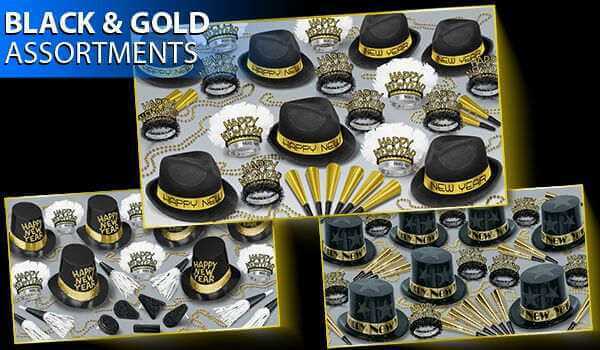 You will find party themes with hundreds of decorations for 1920's parties, masquerade events, and casino parties. 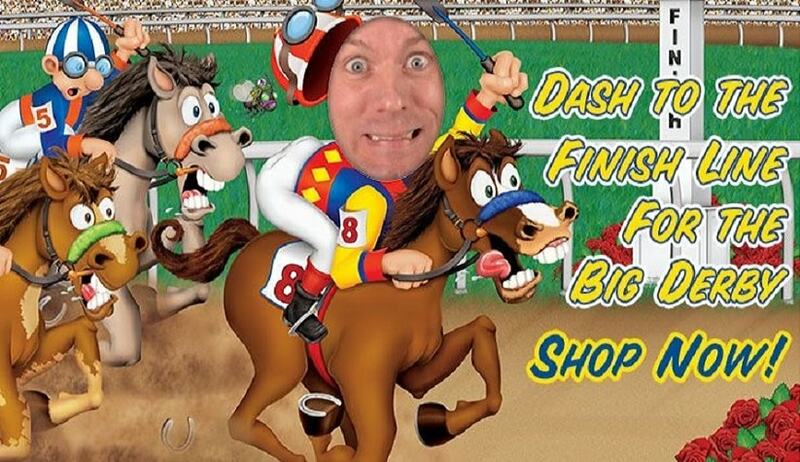 No matter what you are looking for you will find the bulk party supplies at unbeatable prices right here at PartyExpress.com. It can sometimes be difficult coming up with the perfect idea for you New Year's Eve Party, but we do everything that we can to make your event planning easier. 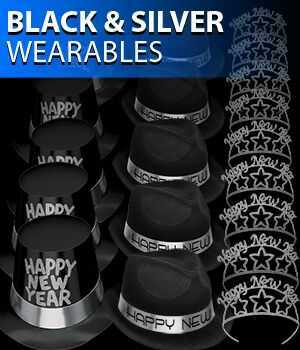 We have selected the top themes for new year's eve and put both the ideas and products in one great place. 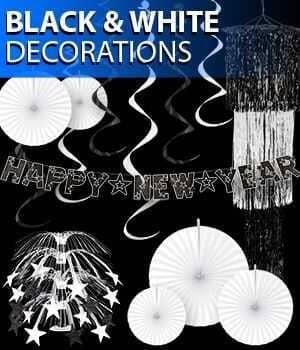 So take a look at our Top New Year's Eve Theme Ideas and select the theme that is perfect for your special event. Do not be fooled by our competitors! 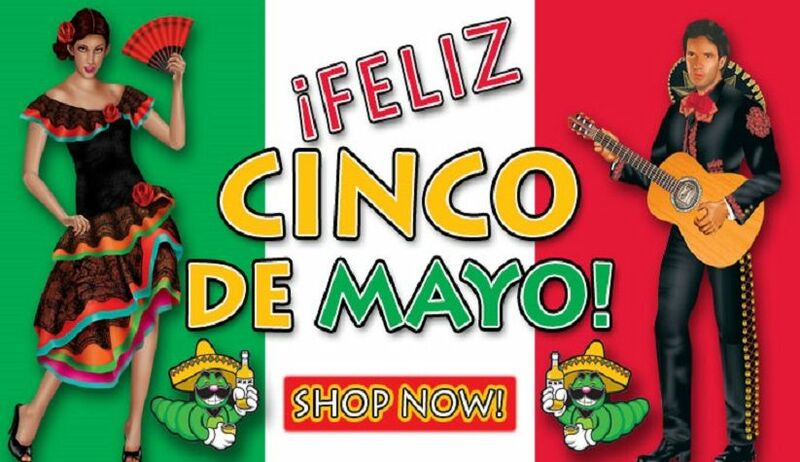 We represent the largest and oldest manufacturer of party supplies in the United States. 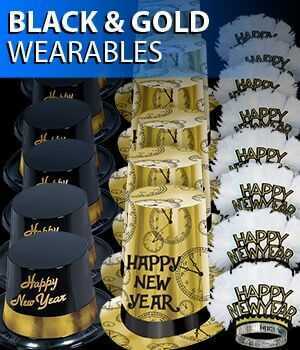 We offer over 10,000 different party favors all at our low factory direct prices. 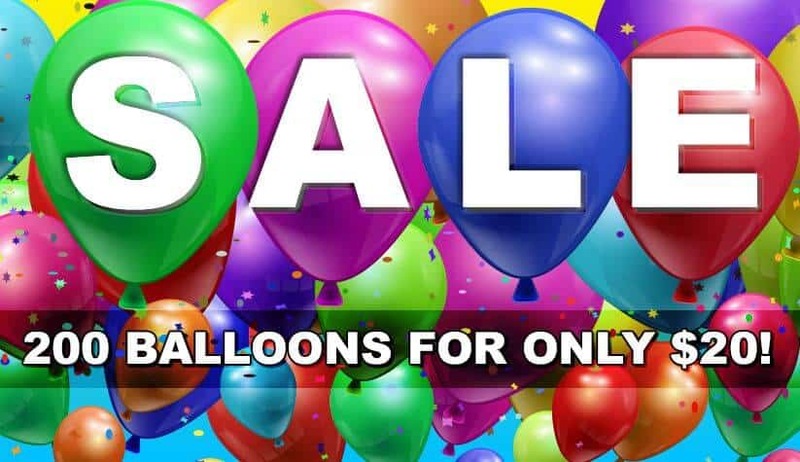 You will save over 50% off of retail prices by selecting Party Express as your number one party goods supplier. 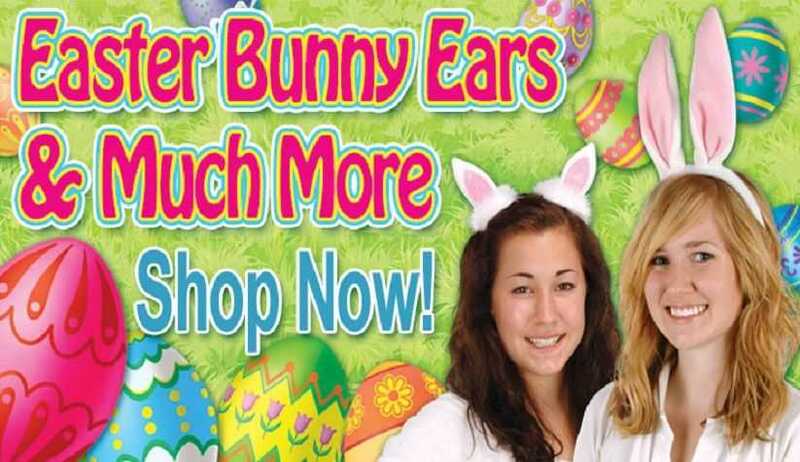 So do not shop anywhere else, save both time and money by purchasing your party supplies from PartyExpress.com. 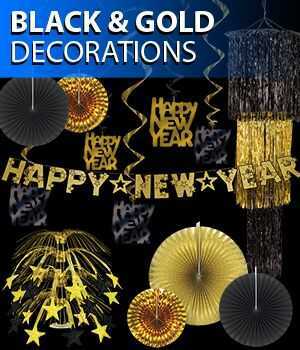 Take a look at our New Year's Eve Party Supplies that are listed over 50% off of manufacturer suggested retail pricing. 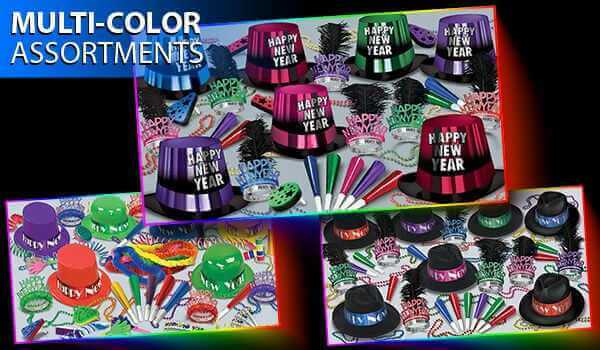 Our New New Year's Eve Party Supplies are Sold to You at Wholesale Factory Direct Pricing, so you are always getting more party for your dollar.